Just Drive West Virginia - Turn it off. Put it down. Turn it off. Put it down. 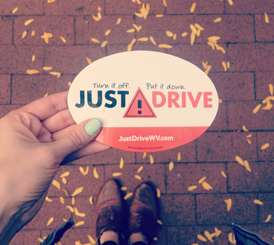 A texting driver is twice as likely to get into a crash than a non-texting driver. Texting takes your eyes off the road for an average of 4.6 seconds, the equivalent – at 55 mph – of driving the length of an entire football field. 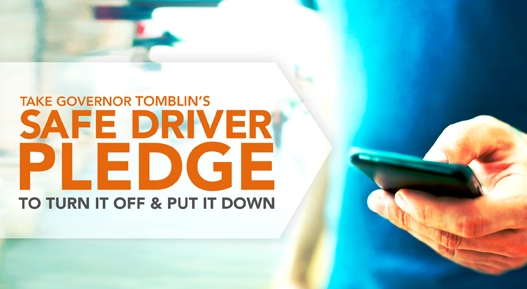 More than one in five drivers with cell phones send or read text messages while driving. Three out of five drivers with cell phones use them while driving even though 91% of adults know it’s not safe. One in three teens ages 16-17 who text say they have texted while driving.